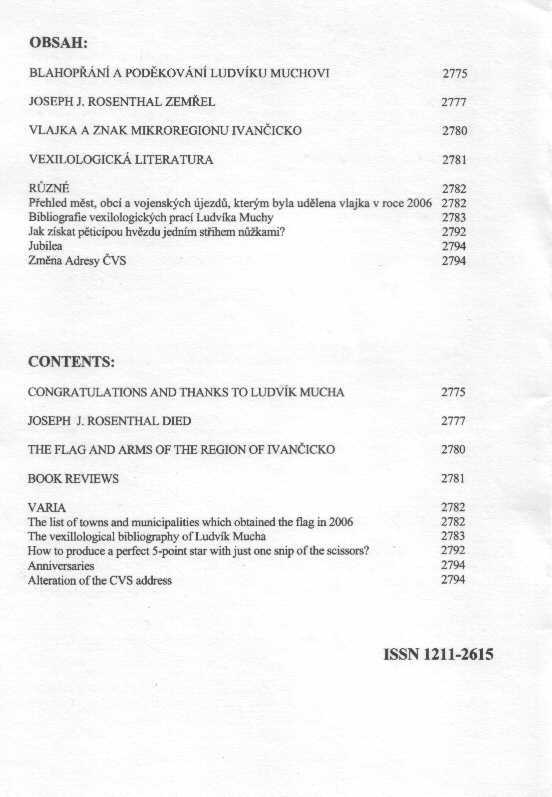 The Czech Vexillological Society commemorates two important jubilees in 2007 – the 35th anniversary of its establishment in 1972 and the 80th birthday of its founder and Honorary President Dr Ludvík Mucha to whom this issue of our journal is dedicated. Vice-President of CVS remembers opportunities he met a name of this honoured Czech vexillologist for the first time more than forty years ago. Mucha´s contributions to popularization of flags in general public during the 1960s and his part in foundation of then Vexillological Club in 1972 are also mentioned. Fojtík also professes his personal affection to Ludvík Mucha who became a moral and professional paragon not only to himself but to many his friends and colleagues joined at the Czech Vexillological Society. 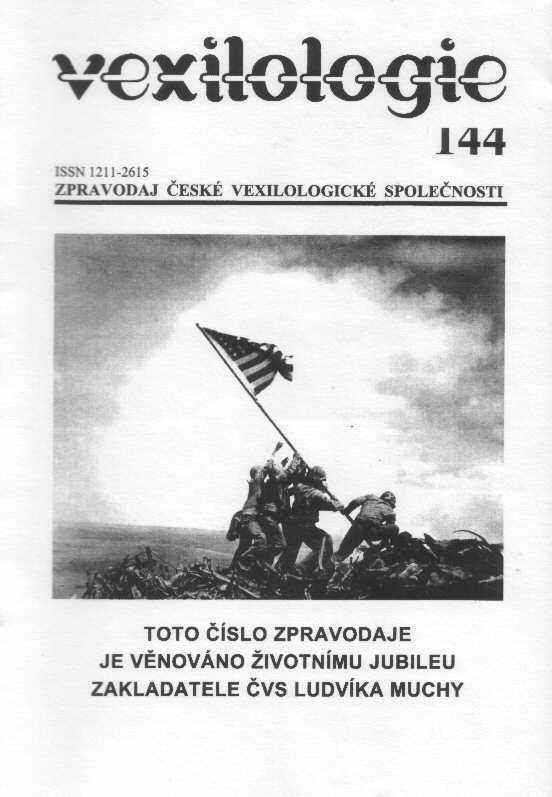 Photographer Joe Rosenthal, who won the Pulitzer Prize and international acclaim for his soul-stirring picture of the World War II flag-raising on Iwo Jima (see the cover of this issue of Vexilologie), died last August. Less known is the fact that Sergeant Michael Strank, participant of the famous flag raising on Iwo Jima, was born in Czechoslovakia. L. Mucha has contacted his relatives and even the photographer who sent him a letter (shown in this article).